Group bookings for more than 9 people are not accepted as direct bookings, please go to http://www.sleepinheaven.com/group-reservations if you wish to book a group of more than 9 people. Stag parties and large all male groups are not accepted. We have been welcoming young travellers since 1999. 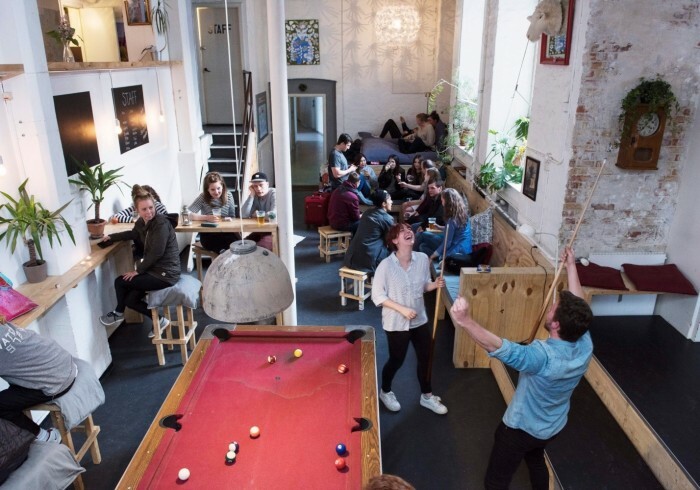 We have always prioritised to run and organise our hostel in a way, that encourage travellers on a low budget to have fun, to socialise, to relax and to get together. We do our best to make your stay as comfortable, secure and price friendly as possible and our top rated team is always ready to assist you! Our rooms and facilities are well kept and the atmosphere in our huge common area and our private garden are highly appreciated among our guests. Please notice: No kitchen and fridge facilities! Feel free to to bring along your own food from takeaways or supermarkeds around the corner inside the hostel. Our team will be happy to provide you with plates & cutlery and recommend good and cheap takeaways around the neighbourhood if needed. Age limit: Dorm accommodation is minimum 16 years and max 35 years. Privates have no age-limit.